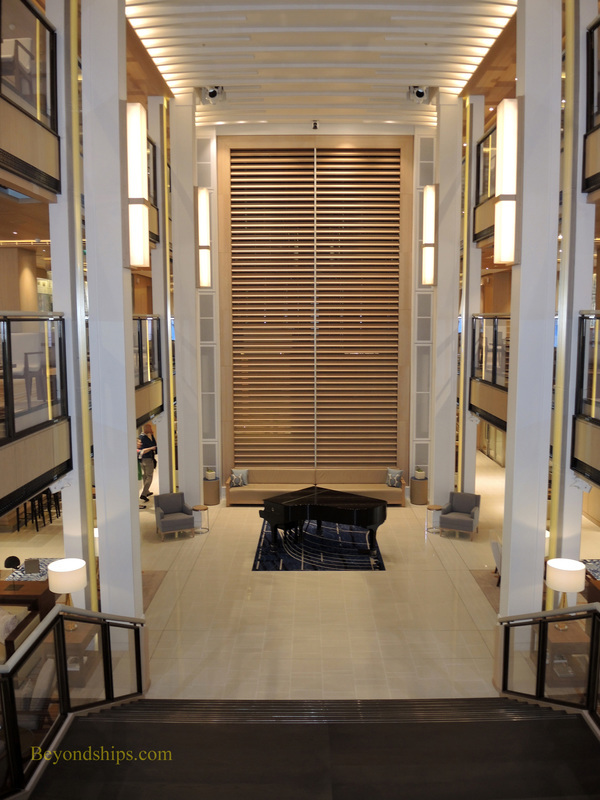 Rising through Decks 1 and 2 is an atrium that is dominated by a grand staircase. 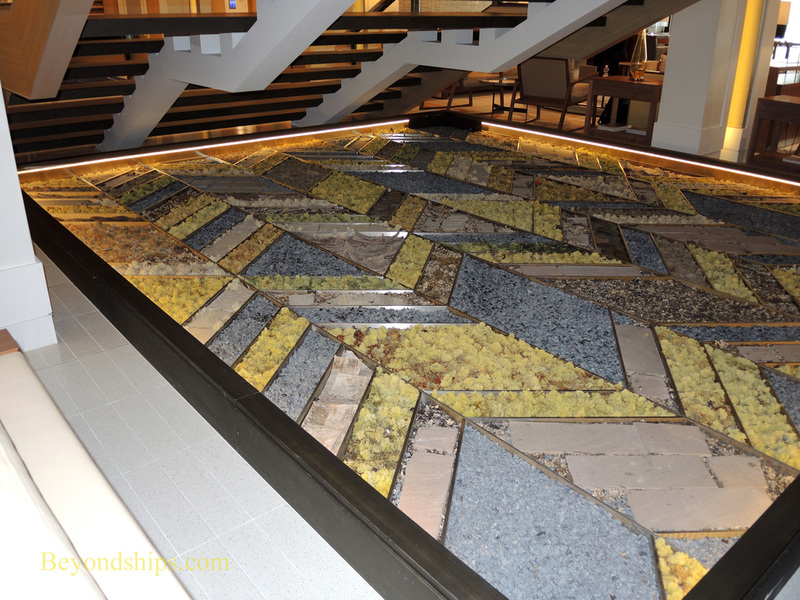 The large video screen at the top of the stairs shows photos of the ports on Viking Star's itinerary. 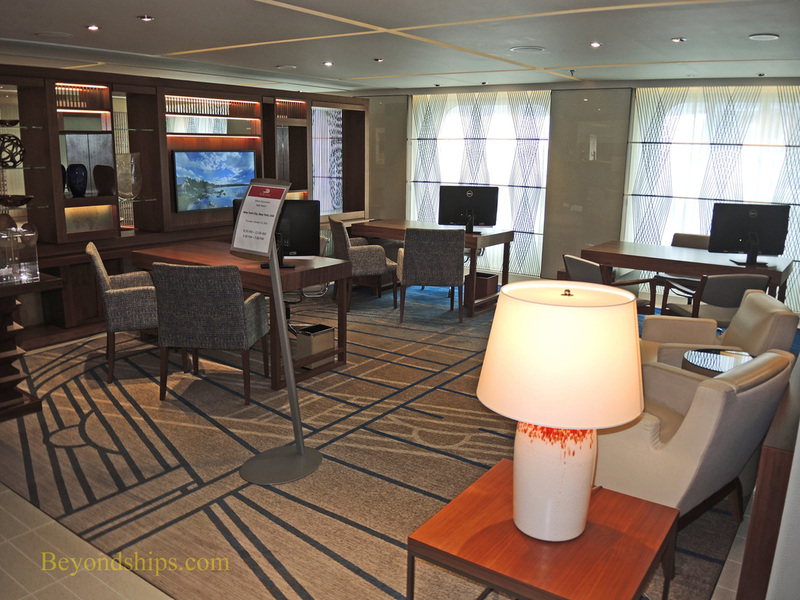 Viking Star is a small cruise ship serving the luxury cruise segment. 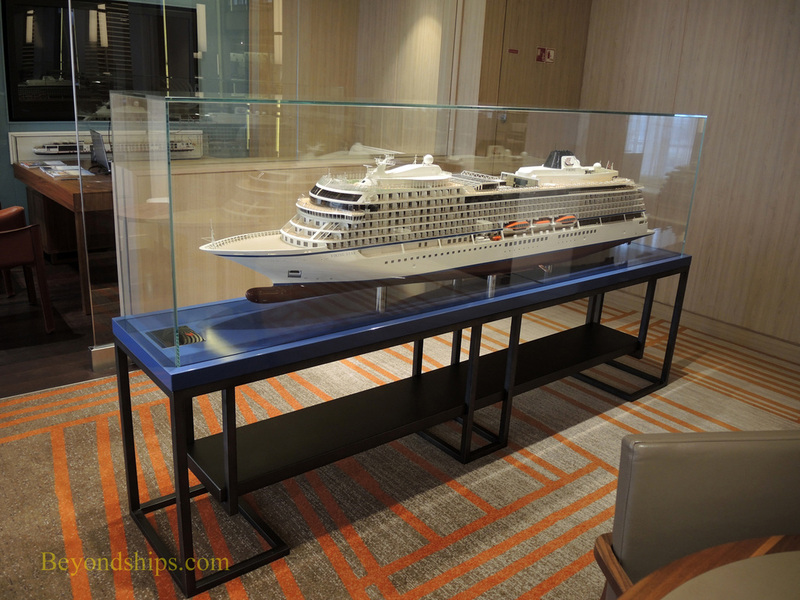 She was the first ship built for Viking Ocean Cruises. 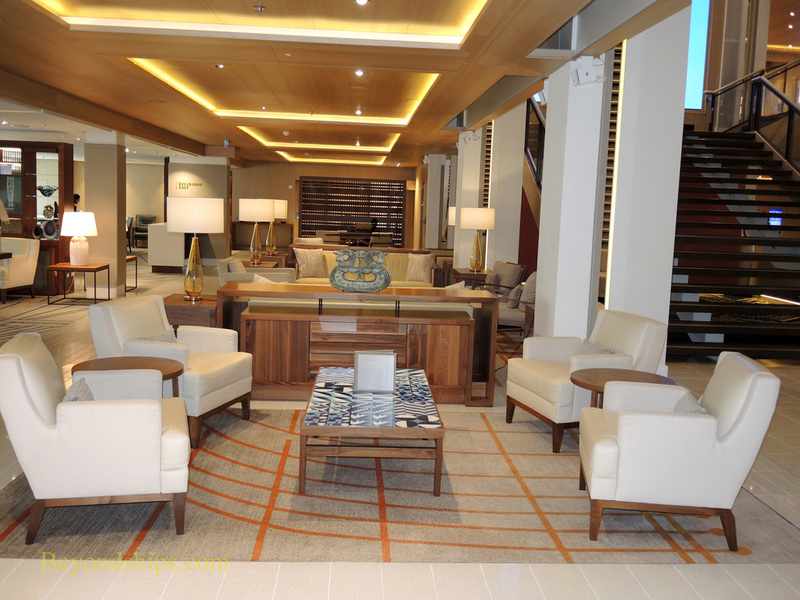 While Viking Ocean Cruises was a new cruise line at the time, it had the advantage of experience gained from being part of a business that is a leader in river cruising. 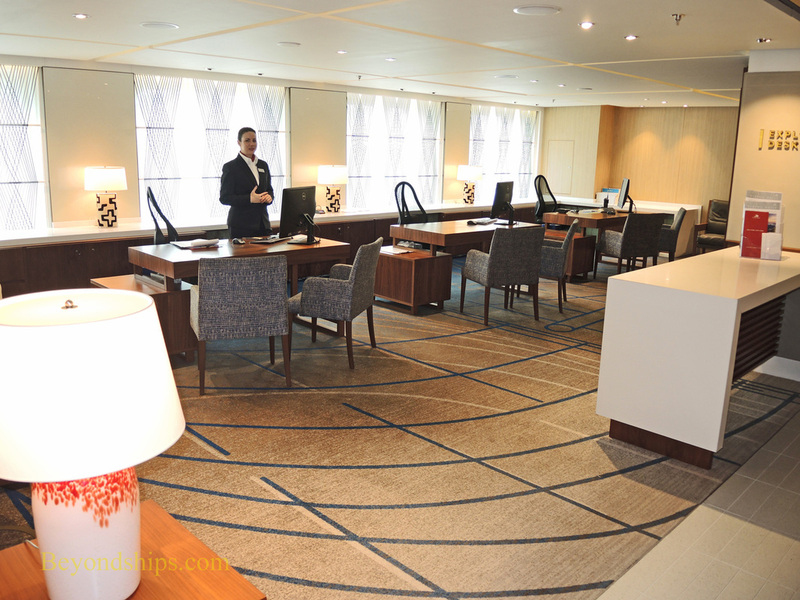 Indeed, concepts developed while doing river cruising, such as a focus on destinations, have been transplanted to Viking's ocean cruising. 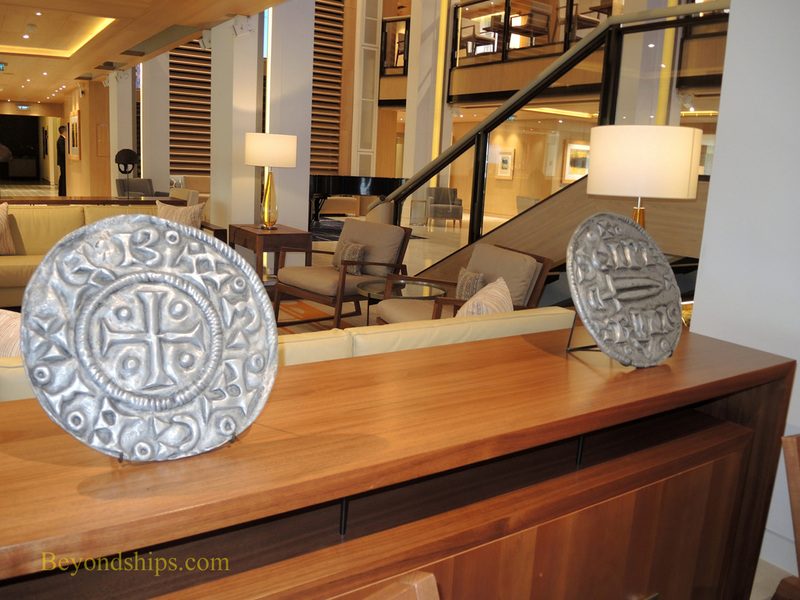 Viking has its roots in Scandinavia and there is a Nordic theme running throughout Viking Star. It is evident in the decor, the food and the spa. There is even a Viking Heritage Museum onboard. Viking is proud of being different than other cruise lines, There is no casino and no children's area aboard Viking Star. Many things are included in the cruise fare such as a shore excursion in each port, wifi, and most drinks. The line seeks to appeal to educated and cultured people. 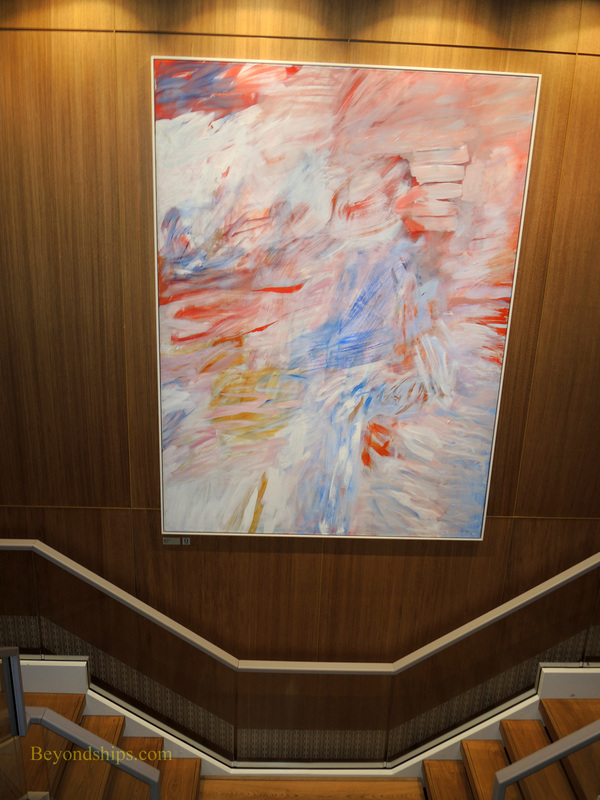 Accordingly, there is a strong enrichment program with lectures, music and art. At 48,000 gross tons, Viking Star is far from being a megaship. Still, with only 930 passengers, she is relatively spacious. 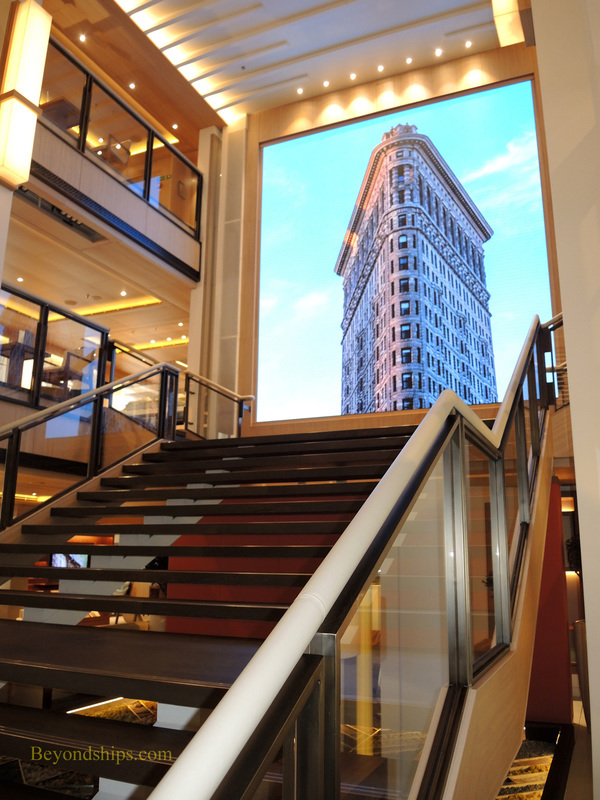 The open architecture design of many of the public spaces adds to that feeling. At the same time, the use of fabrics and wood-like materials lends warmth to these spaces. The ship was designed to minimize pollution using hybrid engines. The close arrangement of the rudders and the propellers also seeks to promote fuel efficiency. 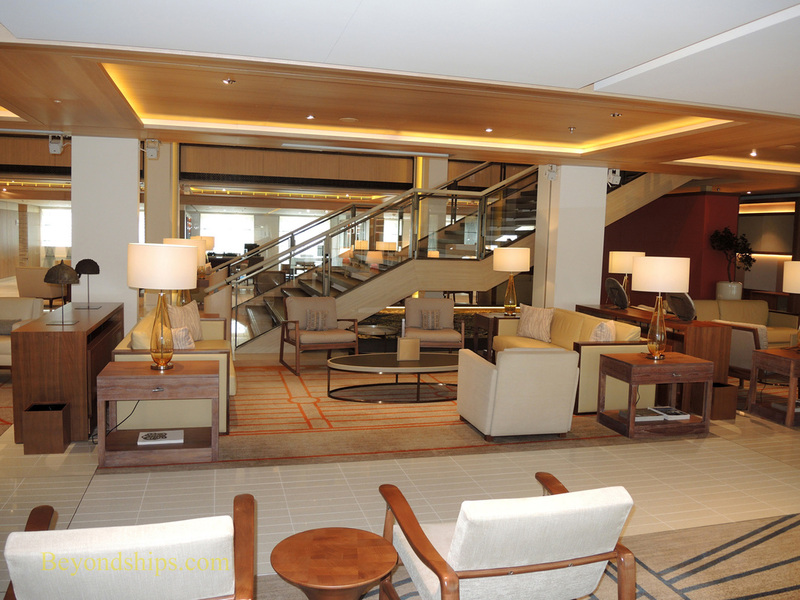 Viking Star is the identical sister to Viking Sea and Viking Sky. 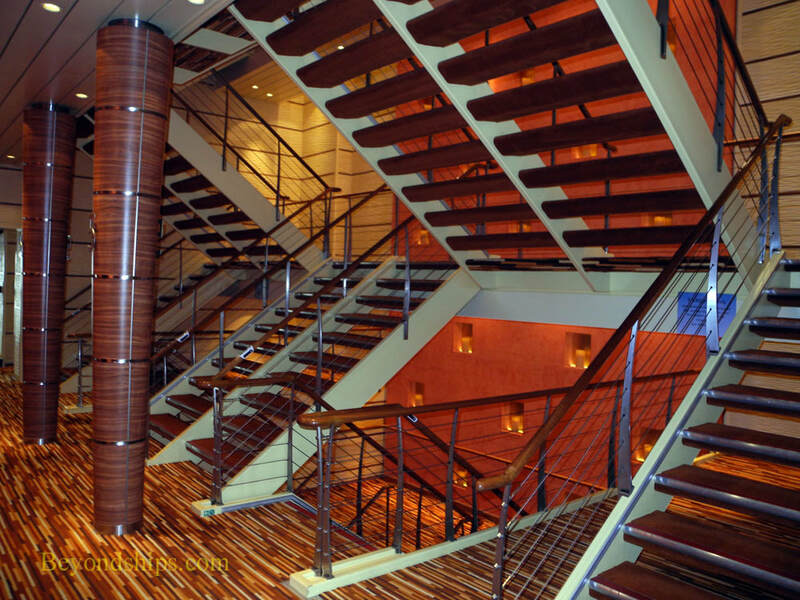 Above and below: The Viking Living Room dominates the public areas of Decks 1 and 2. Designed in an open-architecture format, it houses a bar, the library, the internet center, the Guest Relations Desk, and the Shore Excursions Desk. It is a vast space but the decor and the grouping of the furniture give it the feel of a living room. 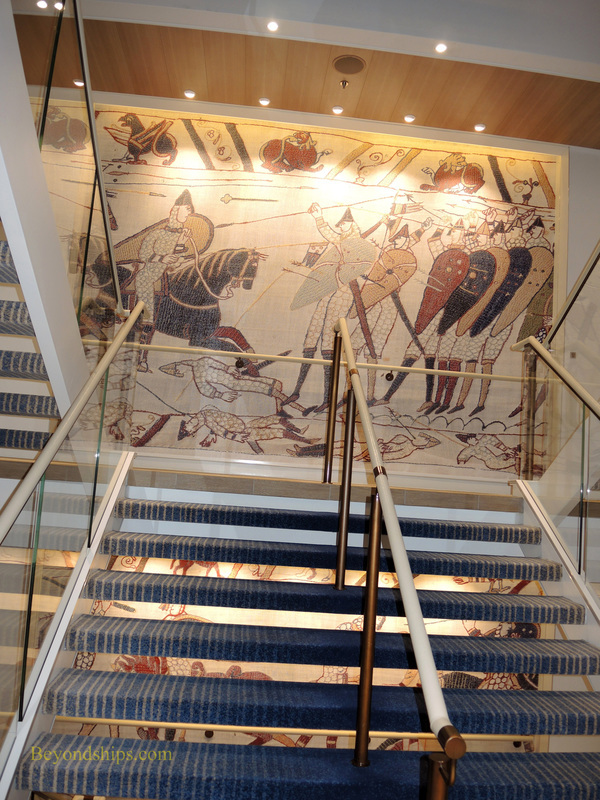 ​Viking Star's art collection includes panels derived from the Bayeux Tapestries as well as contemporary art. Many, if not all, the works have a Scandinavian connection. 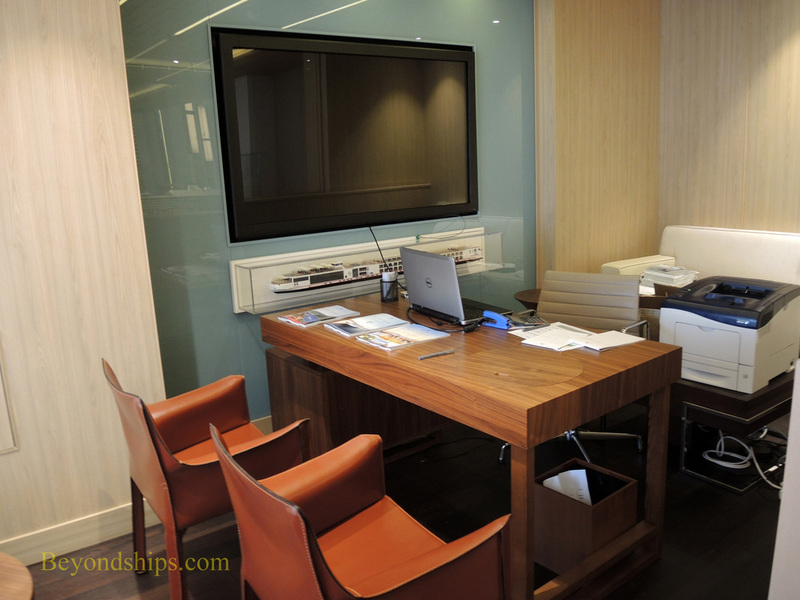 Above right: The shore excursions desk is also in the Viking Living Room. There is a complimentary shore excursion in each port of call but guests can purchase additional excursions.